PMA Honor Committee is composed entirely of students is the one that decided Cudia’s being unable to march on PMA graduation date. The case has caused pleading from the family of Cudia to allow him to march because time is running but to no avail. They even pleaded for fair investigation of the case that made him extend more time in the academe in order to comply with the requirements and eventually deal with the consequences of the case. Because Cudia’s family made their protest with the use of social media, there are several sentiments coming from netizens that are also asking to allow Cudia to graduate since they consider him a promising cadet. Because of this, Armed Forces chief General Emmanuel Bautista ordered a re-investigation. 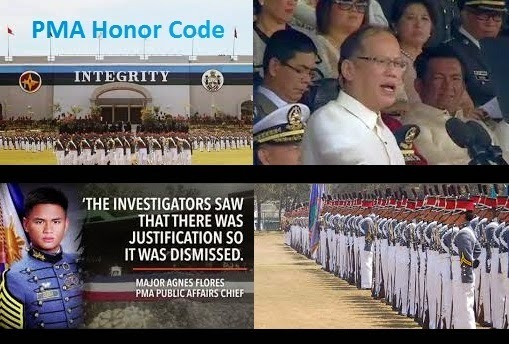 The PMA Honor Code beseeched everyone to abide with its rules and regulations and one of them is the strict implementation not to lie, cheat or steal. These are the grounds why the PMA Honor Committee declared Cudia guilty of the violations. He said that the reason why he was late for two minutes on the class is because his professor dismissed late but an investigation shows that the reason why he was late is because his professor made him wait for a document. Because of the contradicting statements, an investigation was done and Cudia was proven guilty. Aside from this, he also needs to comply with the requirements in school such as OJT wherein he is lacking. Cudia’s family posted in facebook and it became viral. This is also the reason for getting a lot of supports from the people around him, especially his friends in facebook. This has stirred up lots of opinions and I know you also have your own. This issue is something to think about. The Philippine Military Academy is once again proving that it is sticking on its rules and regulations but we have to look at the other side of the story in order to conclude. The case is still going on and there are even statements from Lopez who replaced Abogado that Cudia’s academic credits can be honored in other institutions.